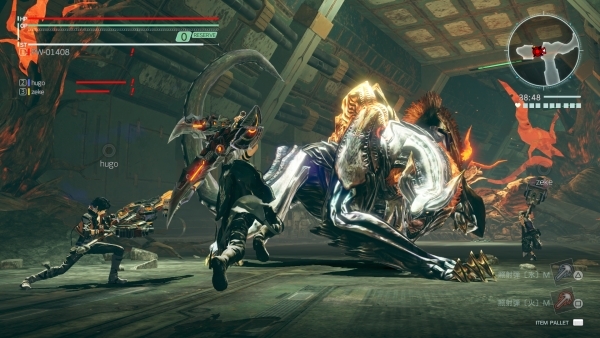 Encounter Aragami from previous games with revamped effects. 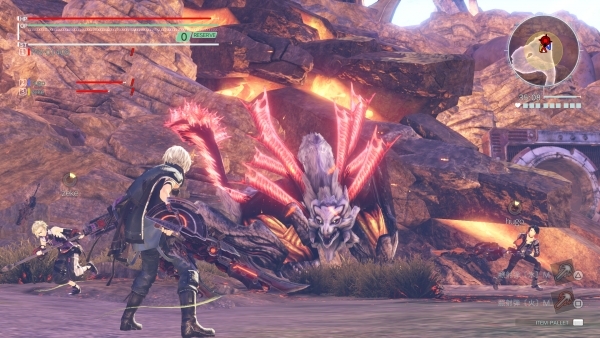 Bandai Namco has released a new set of God Eater 3 screenshots featuring new character Zeke Pennywort, new Aragami Barbarius, and returning Aragami Chrome Gawain, Hannibal, Marduk, Sariel, and Vajra. 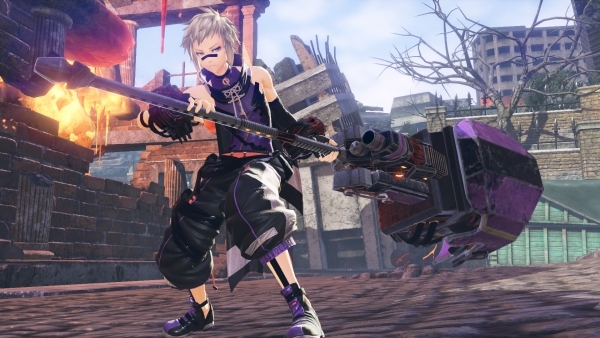 Zeke Pennywort joins the group as travel companion of the protagonist Yugo, wielding one of the newly introduced AGEs (Adaptive God Eaters) – weapons that are particularly strong and deadly. He grew up in a harsh environment and therefore lacks good manners every now and then. However, he cares deeply about his allies and can forge strong bonds with the persons he trusts. 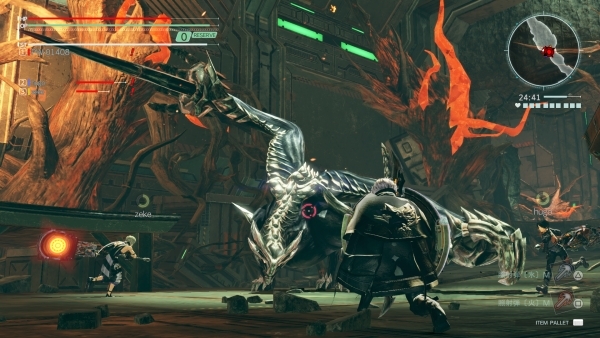 One of the Aragami newly introduced in God Eater 3 is Barbarius, soldier-like with its silver armor and sharp eyes gazing through the horned warrior’s helmet. His left arm is shaped like a drill that spins menacingly, breaking the ground during attacks and causing damage through debris. 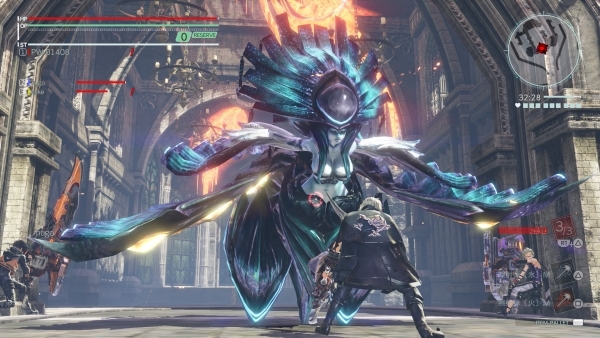 Barbarius also dives into the ground to attack at the blind spot of its target and uses the cold inside his body to evoke a dangerous ice block. 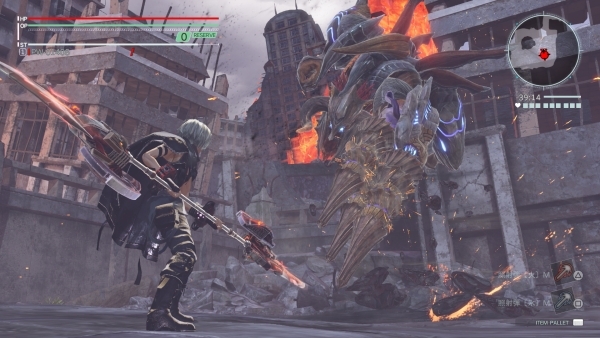 Additionally, players will encounter Aragami from former games of the series with revamped effects in God Eater 3. Players will have to use a new God Arc and new systems to stand a chance. The Burst Plugin expands the God Arc’s burst ability and is tied to each God Arc part of melee weapons, guns and shields. Installing Skills, in turn, extend the basic performance of each God Arc by linking skills to a designated slot that lets players create an individual combat style. 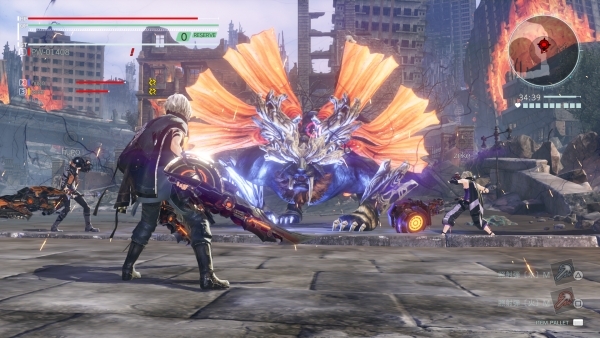 God Eater 3 will be released worldwide for PlayStation 4 and PC. A release date has yet to be announced.